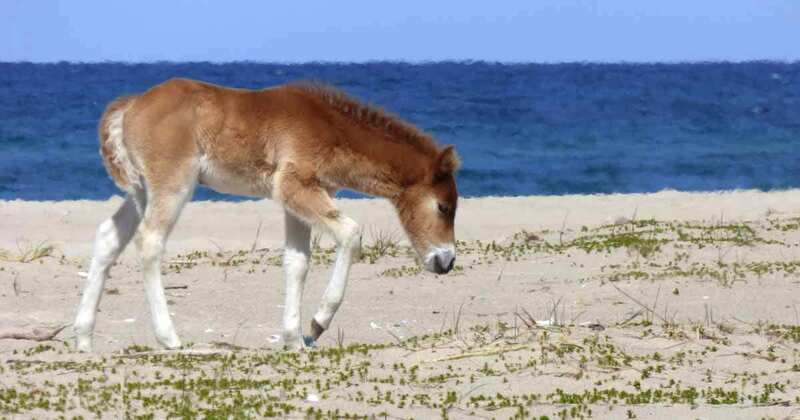 Image above: A spring foal explores a patch of Sandwort on the north beach as its family band grazes nearby. Weather summary for this date: no rain; sunshine hours 7.4; temperature maximum 5.3°C and minimum -2.0°C; with a peak wind of 20 knots easterly (ESE 110°). A fragment of seaweed, Knotted Wrack, freshly washed ashore—a mermaid’s bracelet. Weather summary for this date: rain 5.4 mm; sunshine hours 1.4; temperature maximum 8.5°C and minimum 0.7°C; with a peak wind of 27 knots northwesterly (NW 310°). 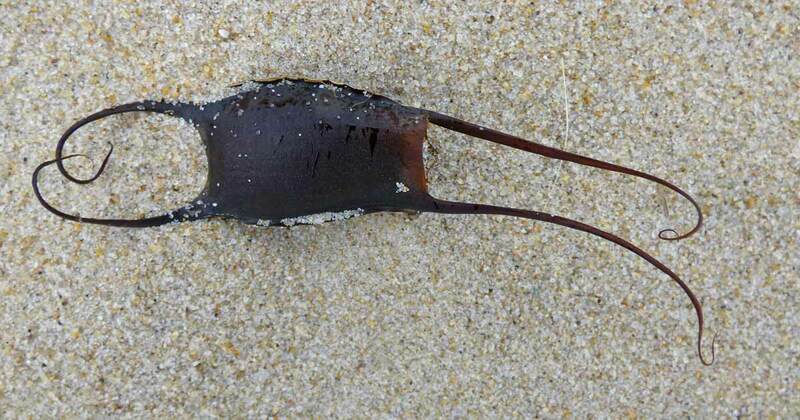 A skate’s egg case, often called a mermaid’s purse (or a “devil’s pocketbook”), is the protective case that forms around an individual skate embryo before it is deposited by the mother on the ocean floor. 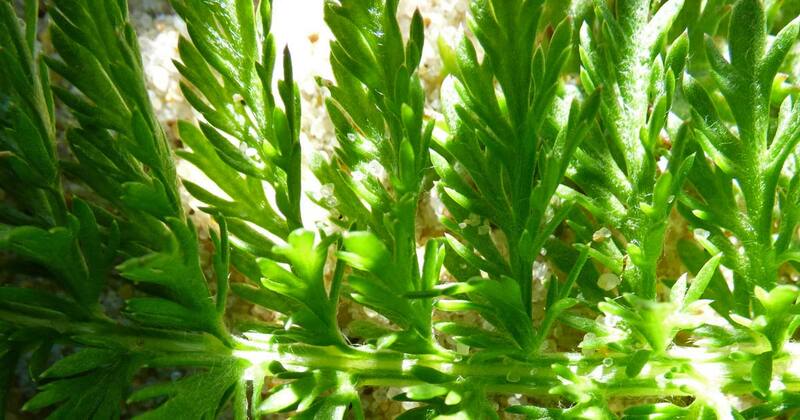 The long, thin projections catch on seaweed and other materials and help to anchor the egg case while the embryo develops. 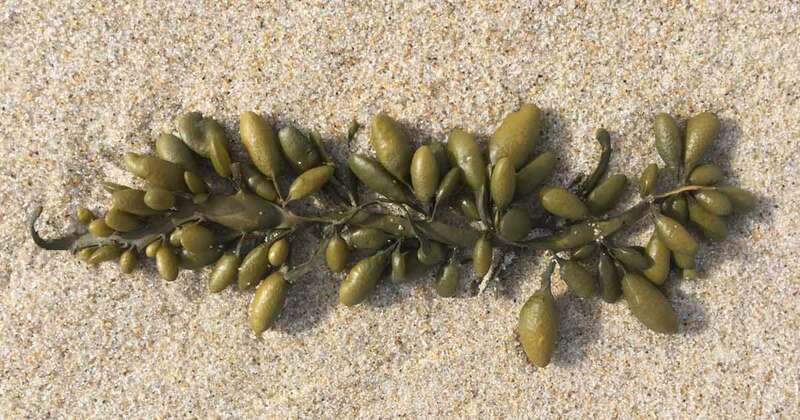 Empty egg cases are commonly found on the beach. A Harbour Seal on the north beach. 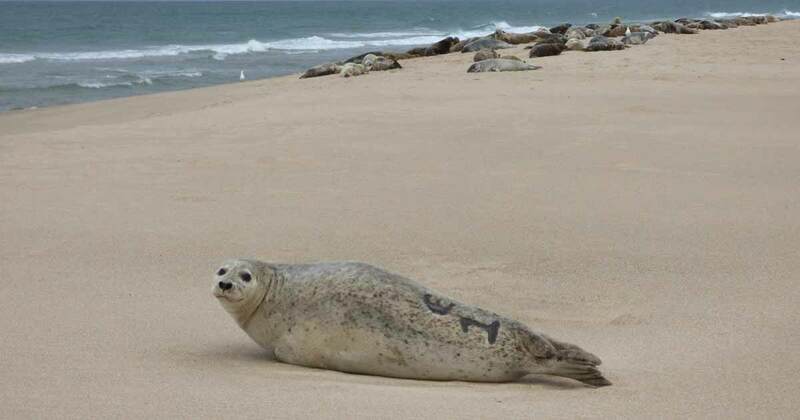 The seal is a male and at least 28 years old. He was branded “E15” during a Fisheries and Oceans research program a few decades ago. 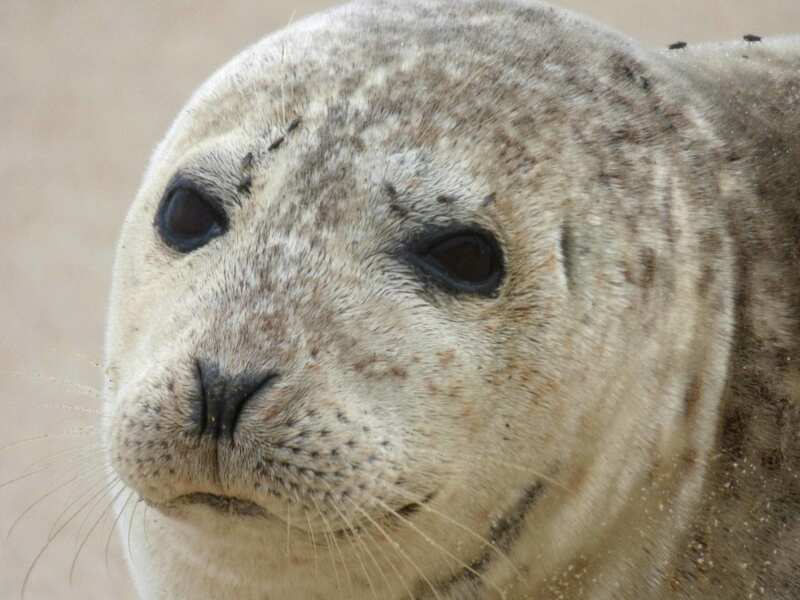 Farther down the beach, about fifty Grey Seals are hauled out along the edge of the water. Weather summary for this date: no rain; sunshine hours 13.8; temperature maximum 6.9°C and minimum 1.5°C; with a peak wind of 13 knots westerly (W 260°). 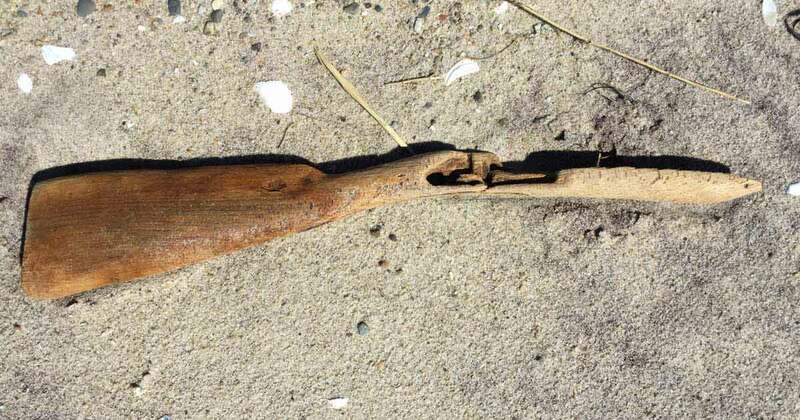 A wooden rifle stock—worn and polished by sandblasting—found on the beach. 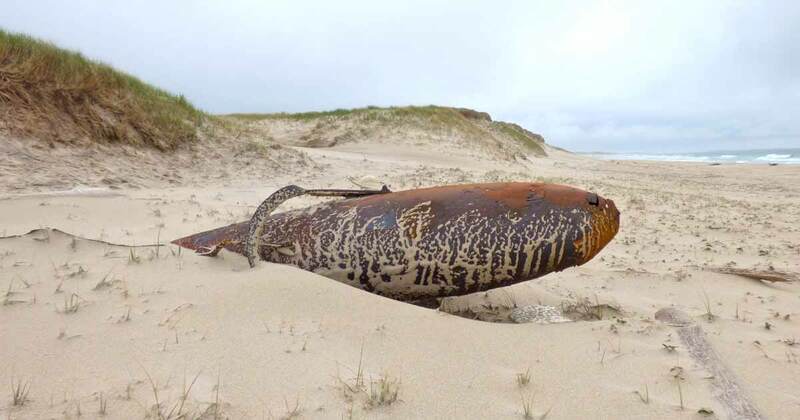 Did it wash up as a bit of flotsam, or is it all that remains of a gun that might have been used on the island to hunt ducks or seals long ago? 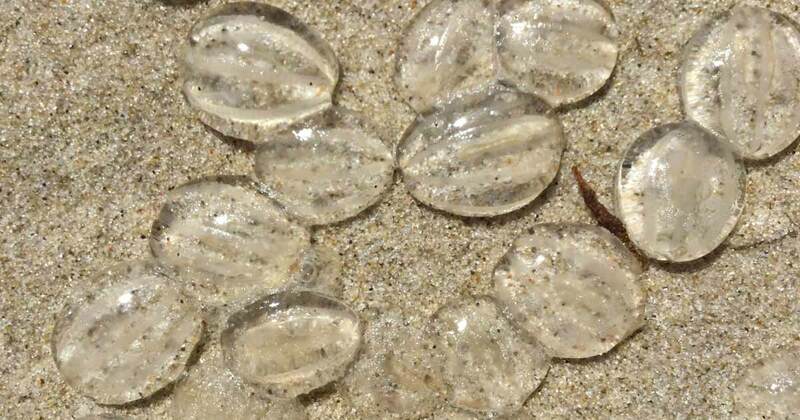 Sea gooseberries (comb jellies) commonly wash ashore, sometimes scattered along the most recent tideline in ones and twos, sometimes in hundreds and thousands. Weather summary for this date: no rain; sunshine hours 13.3; temperature maximum 9.2°C and minimum 1.2°C; with a peak wind of 12 knots northerly (N 350°). Remains of long-buried plants in the wet sand at the edge of the ocean, exposed as the lapping water swishes the sand away. Weather summary for this date: no rain; sunshine hours 12.8; temperature maximum 9.5°C and minimum 3.8°C; with a peak wind of 22 knots southwesterly (SW 230°). 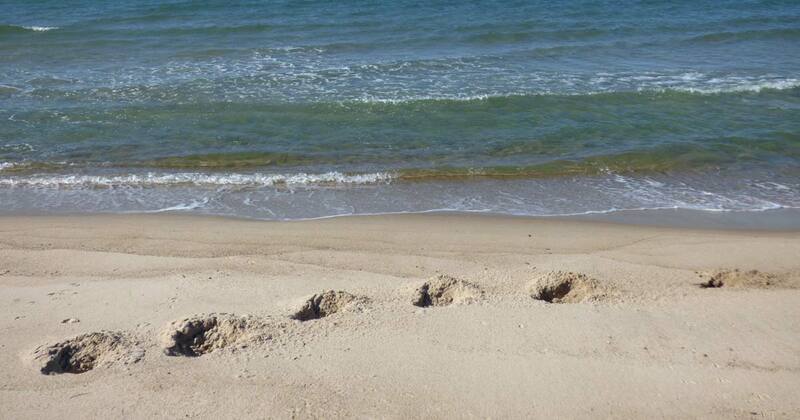 Horse hoof prints on the beach. 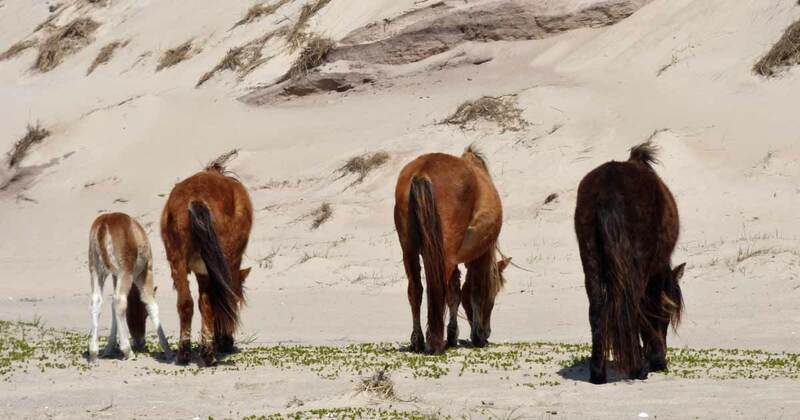 A Sable Island horse—chestnut in colour—standing on the beach. Weather summary for this date: rain 0.2 mm; fog; sunshine hours 8.3; temperature maximum 10.7°C and minimum 4.4°C; with a peak wind of 22 knots easterly (ESE 110°). A spring landscape with vegetation just emerging, and a solitary horse eating fresh new leaves of beach grass and poa. 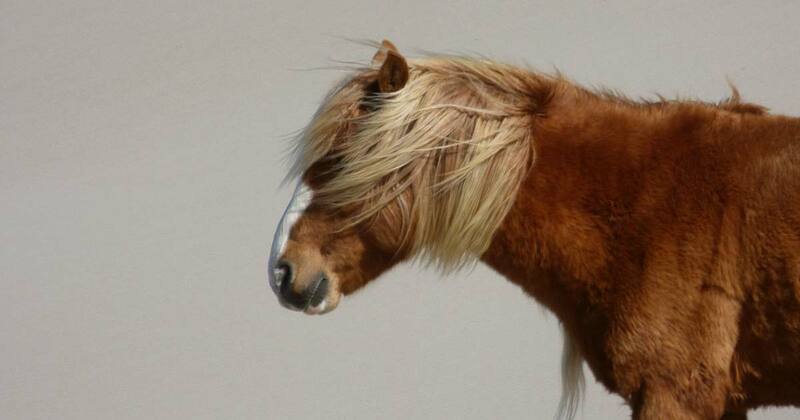 Another Sable Island horse, chestnut in colour with a longer blonde mane. The manes of the island’s horses vary from short and neat to hanging down to the knees and knotted. 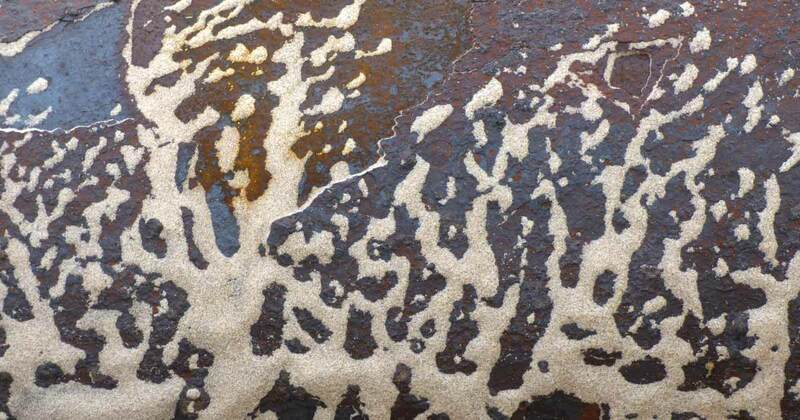 Sunburst lichens are abundant on Sable Island, especially on weathered bones. 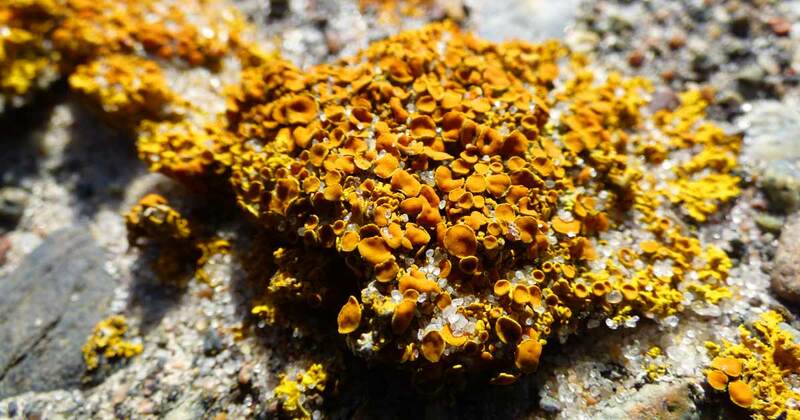 This patch of lichen was on the concrete surface of the old helipad which has not been used in about a decade. Weather summary for this date: no rain; sunshine hours 3.7; temperature maximum 10.9°C and minimum 4.9°C; with a peak wind of 20 knots westerly (W 260°). 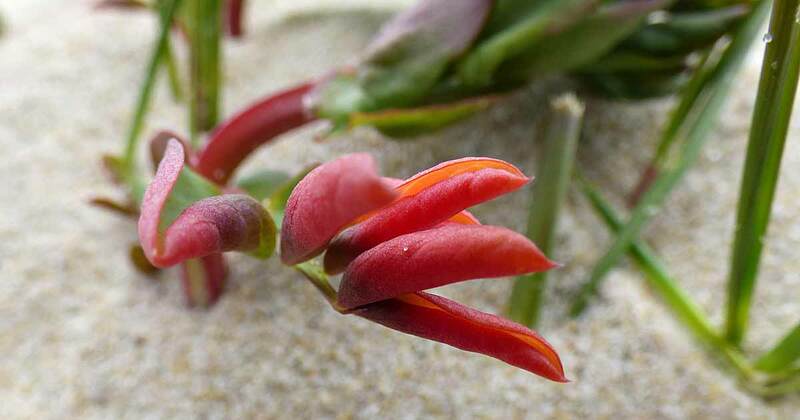 Unusually-coloured beach pea foliage. 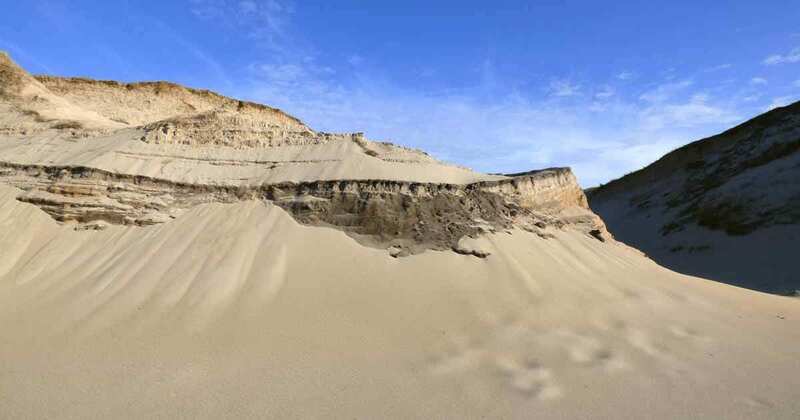 It may have been temporarily buried by windblown sand. And, unusually-coloured Meadowrue leaves and stems. 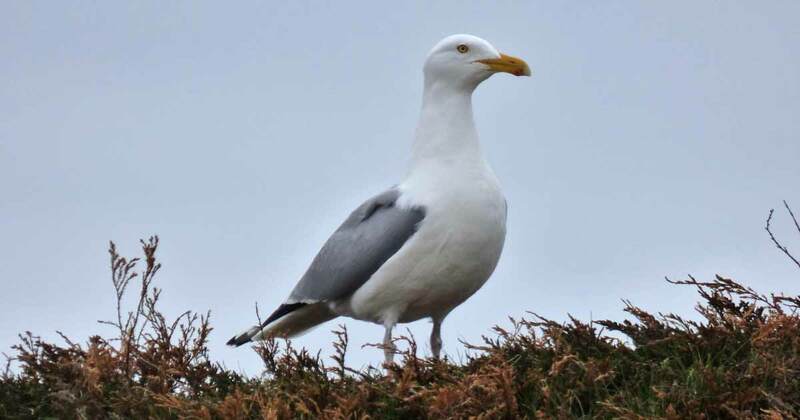 An adult Herring Gull, one of the two gull species that regularly nest on the island. The other species is the Great Black-backed Gull. 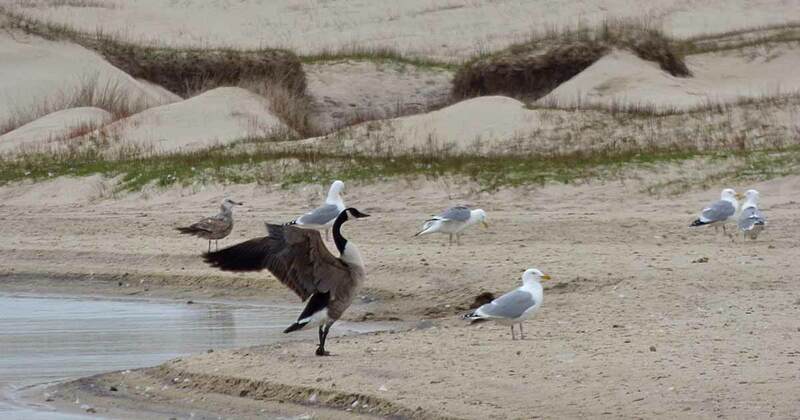 A Canada Goose with Herring Gulls at Mummichog Pond. 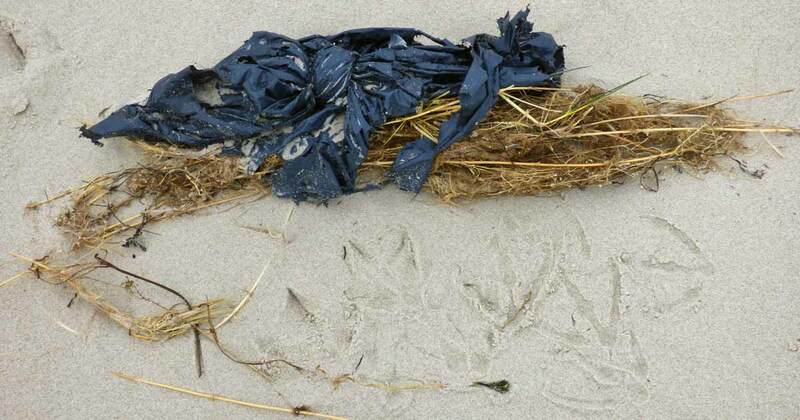 A shredded plastic garbage bag washed ashore with a tangle of beach grass fragments. 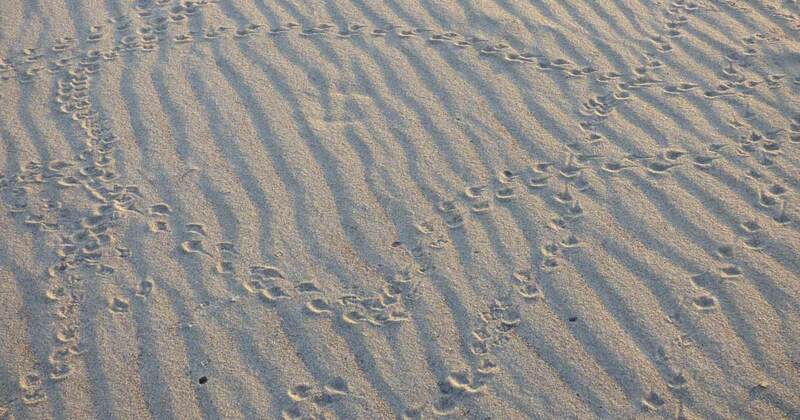 The footprints nearby suggest that a gull had investigated the material, perhaps looking for a snack. Weather summary for this date: trace of rain; sunshine hours 8.2; temperature maximum 11.6°C and minimum 7.1°C; with a peak wind of 16 knots westerly (W 260°). 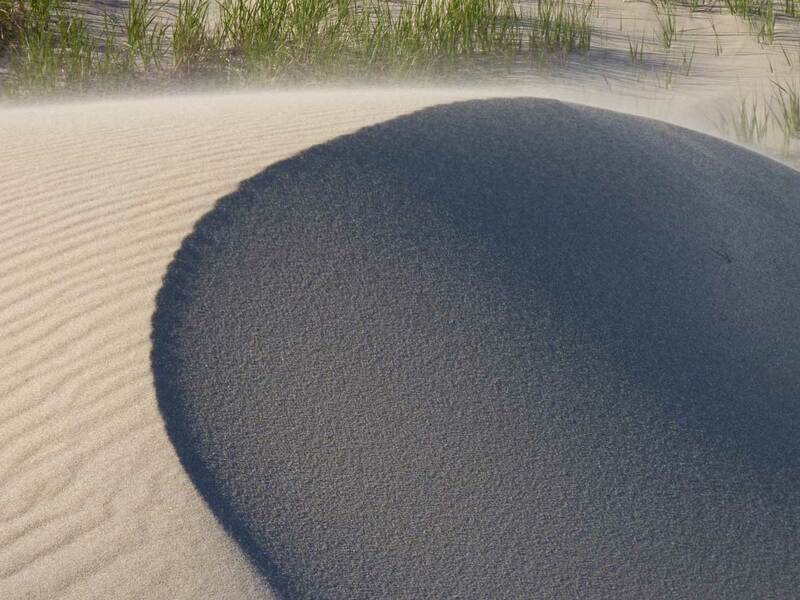 Ripples of heavy mineral sands on the beach. Weather summary for this date: rain 0.6 mm; fog; sunshine hours 0.2; temperature maximum 10.8°C and minimum 3.3°C; with a peak wind of 29 knots westerly (WSW 240°). 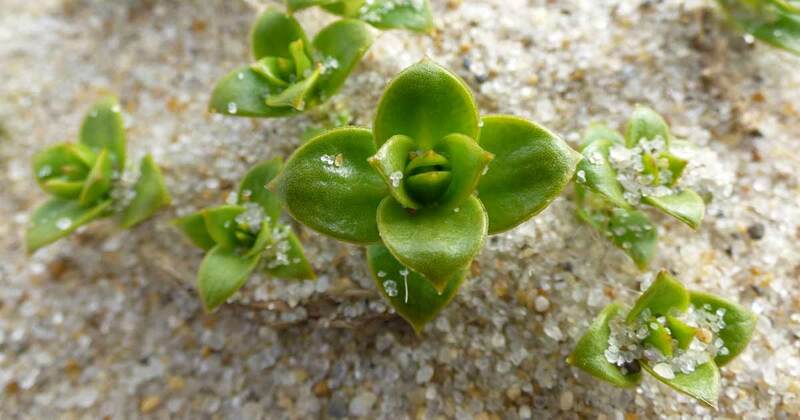 Fresh spring growth of Sandwort, a beach plant that can tolerate saltwater overwash and burial by windblown sand. 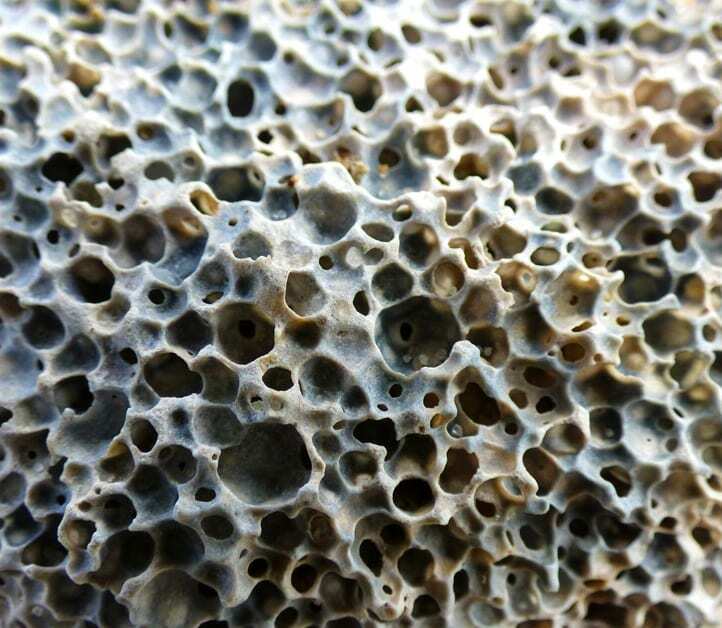 A close-up of the surface of a chunk of pumice washed ashore, with tiny barnacles in some of the cavities. 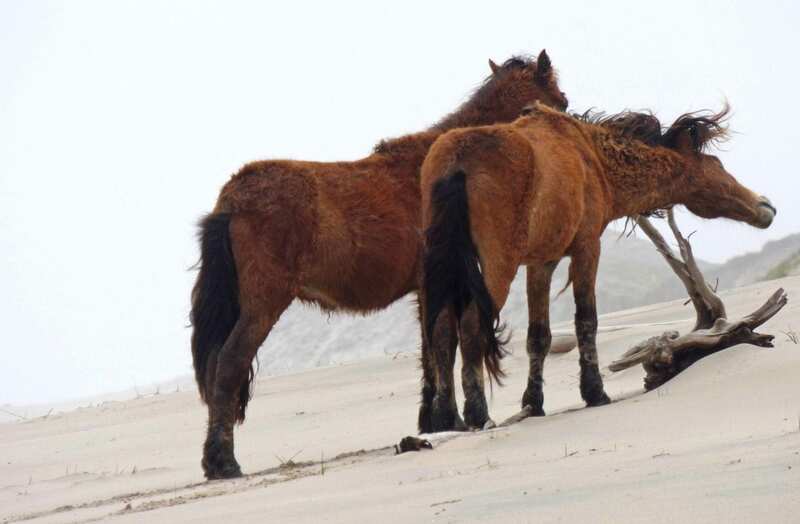 Sable Island horses rubbing on driftwood. Weather summary for this date: no rain; sunshine hours 13.9; temperature maximum 9.9°C and minimum 3.0°C; with a peak wind of 17 knots westerly (WSW 250°). 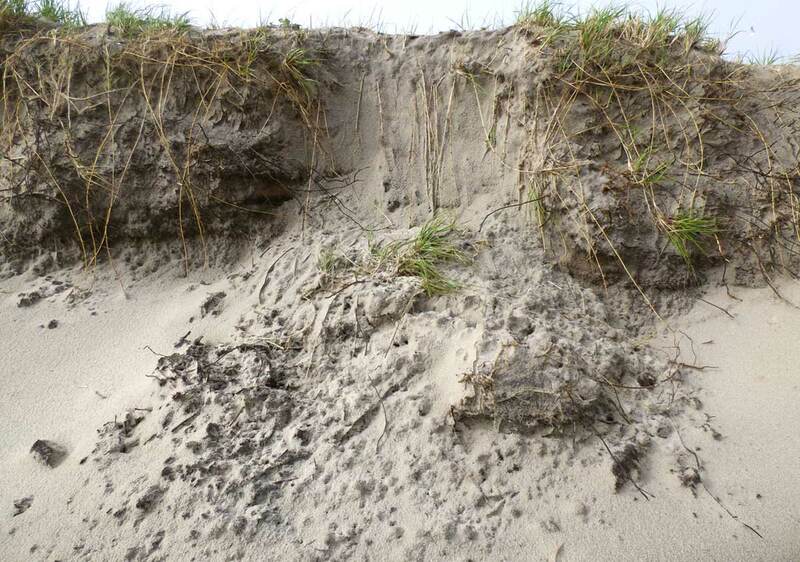 As the dune erodes, a dark layer of older sandy soil is exposed. 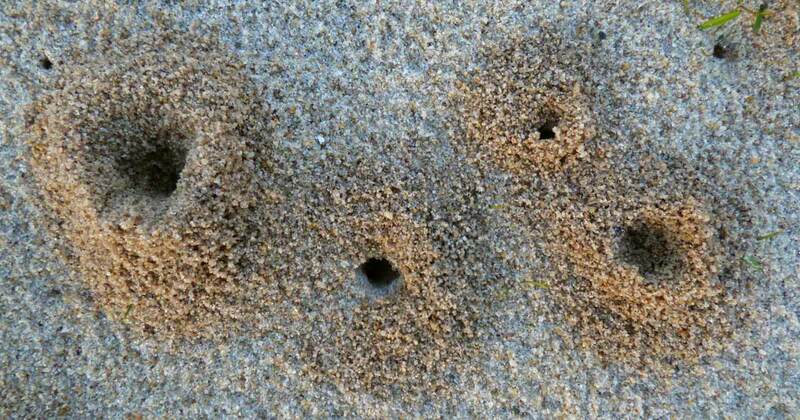 Ant nest holes—the ever-busy ants carry darker sand grains to the surface. 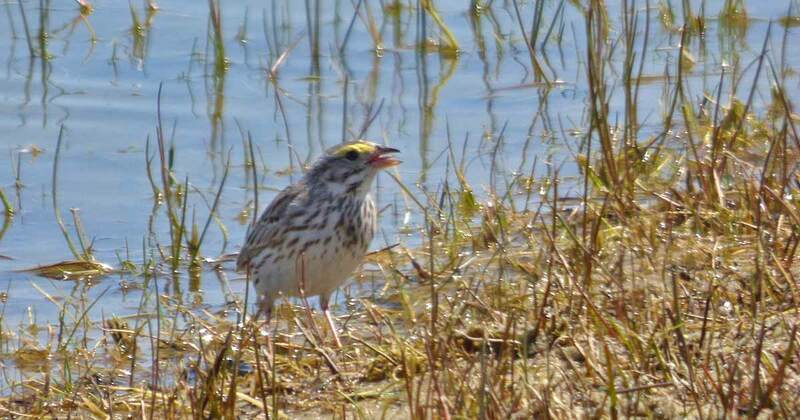 An Ipswich Sparrow at the edge of a freshwater pond, showing its lemony yellow eyebrow. 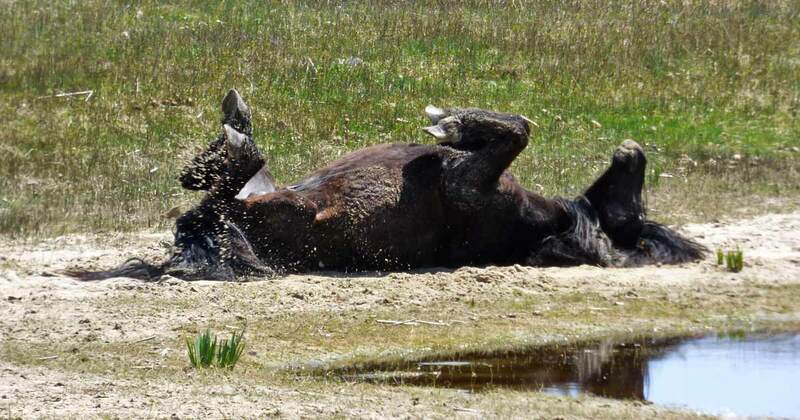 A Sable Island horse rolling in moist sand at the edge of a pond. 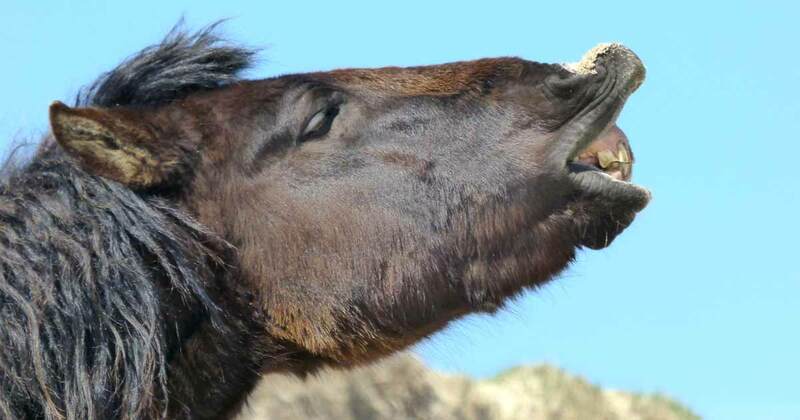 A stallion testing the air in a behaviour called the “flehmen response”—it enables the horse to pick up traces of scents and pheromones. 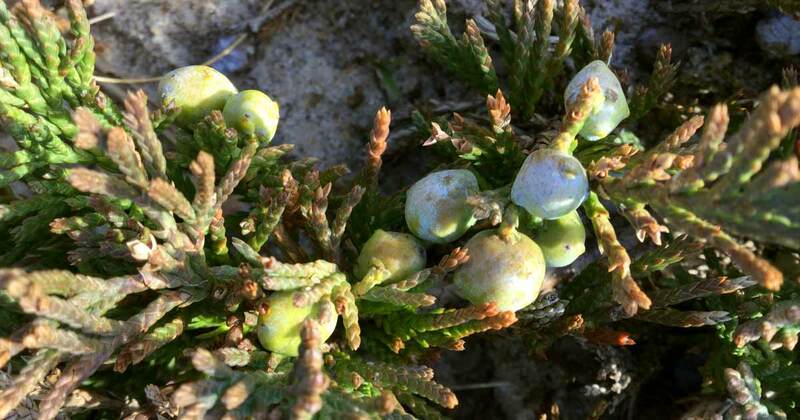 Creeping Juniper, one of the two juniper species on Sable Island. 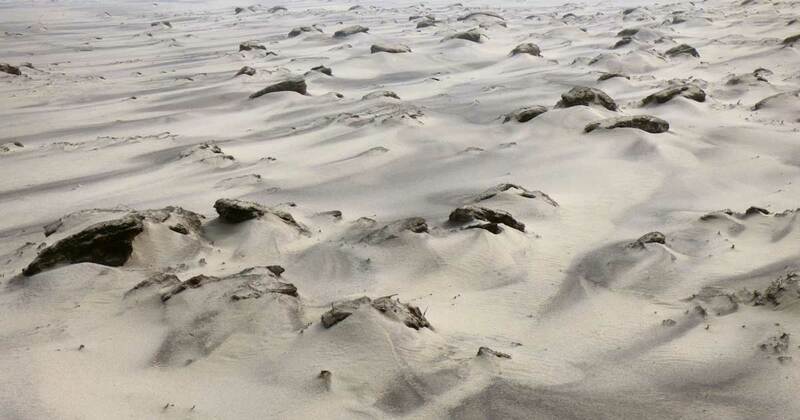 Part of an old guy line exposed as sand blows away. Weather summary for this date: no rain; sunshine hours 13.8; temperature maximum 11.5°C and minimum 2.8°C; with a peak wind of 14 knots southwesterly (SW 220°). 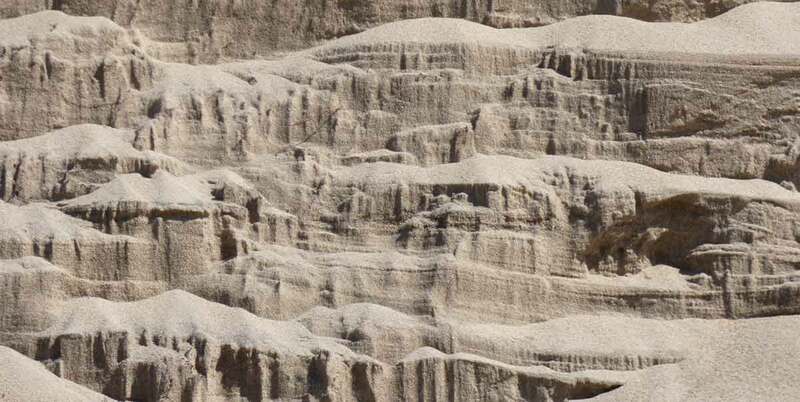 A pattern in the steep face of an eroding slope, where dry sand is cascading down over shelves created by the scouring wind. 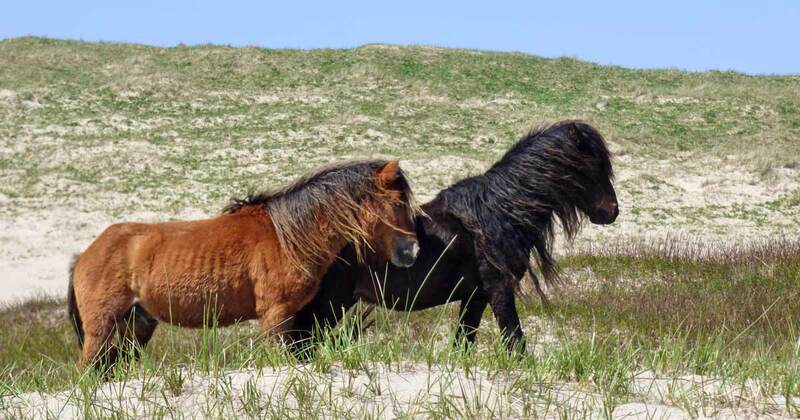 Two Sable Island stallions challenging each other. They are just beginning to shed their winter coat and have the lean and wiry look typical of the horses in early spring. Weather summary for this date: no rain; fog; sunshine hours 12.1; temperature maximum 15.8°C and minimum 4.7°C; with a peak wind of 18 knots easterly (ESE 110°). 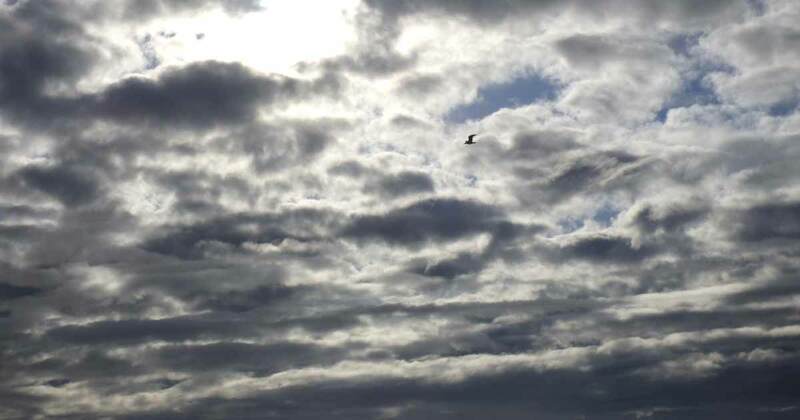 Stratocumulus clouds with a solitary gull. Weather summary for this date: no rain; sunshine hours 7.2; temperature maximum 9.3°C and minimum 0.0°C; with a peak wind of 17 knots northeasterly (NE 050°). A band of horses, including a mare and her spring foal (shown in the image at the top of this page), grazing on Sandwort. Weather summary for this date: rain 1.2 mm; fog; sunshine hours 0.5; temperature maximum 12.5°C and minimum 5.1°C; with a peak wind of 31 knots northwesterly (NNW 330°). 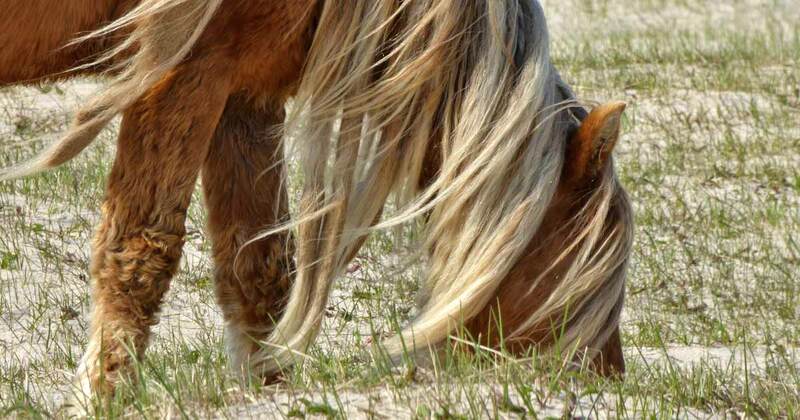 A Sable Island mare with a long mane. 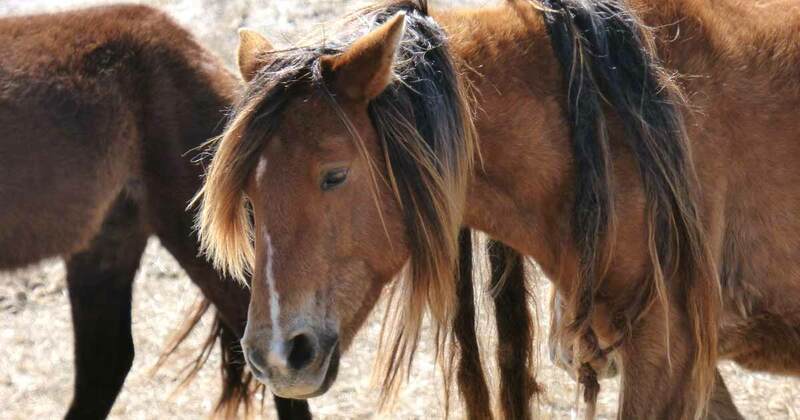 Longer manes sometimes become tangled and knotted ropes of hair. Weather summary for this date: no rain; sunshine hours 14.4; temperature maximum 11.4°C and minimum 6.8°C; with a peak wind of 31 knots northwesterly (NNW 330°). 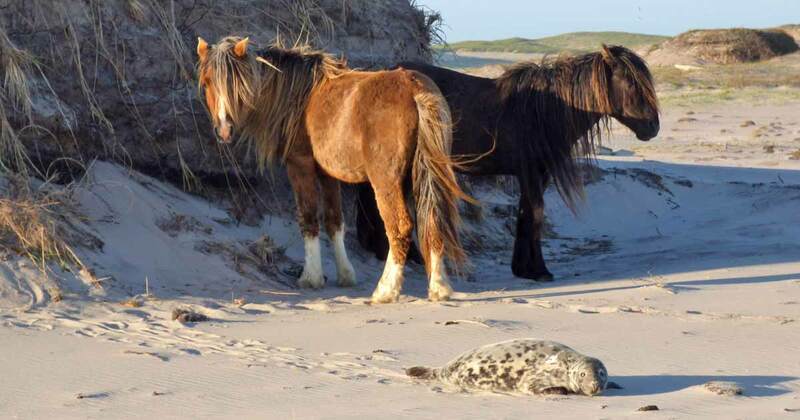 Sheltering from a northerly wind, horses stand in the lee of an eroding dune slope along the south beach, and a young Grey Seal, perhaps disturbed by the company, heads towards the water. Weather summary for this date: no rain; sunshine hours 13.5; temperature maximum 15.8°C and minimum 6.8°C; with a peak wind of 18 knots northwesterly (NW 310°). 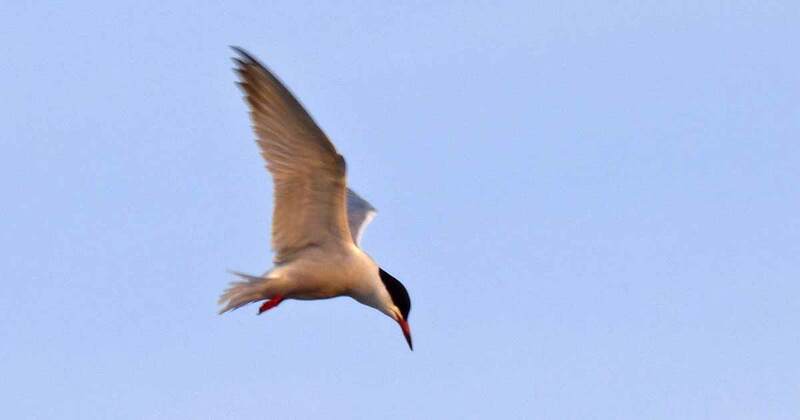 An adult Common Tern hovering over a small pond just south of the Sable Island Station. Weather summary for this date: no rain; fog; sunshine hours 12.8; temperature maximum 14.4°C and minimum 8.4°C; with a peak wind of 10 knots southwesterly (SSW 200°). 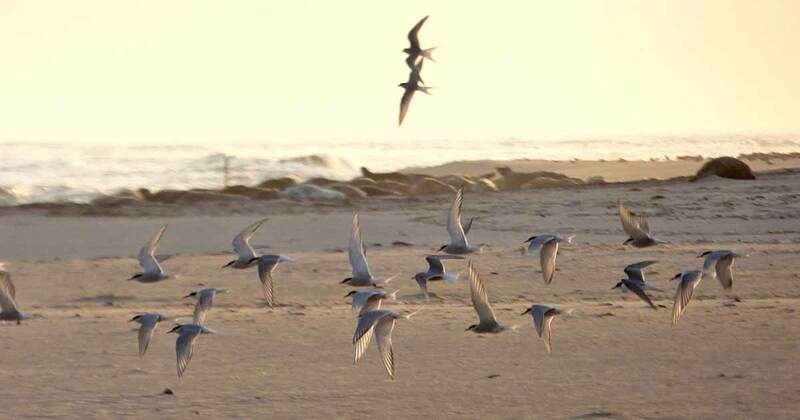 Terns on the south beach, with Grey Seals in the distance, at the water’s edge. 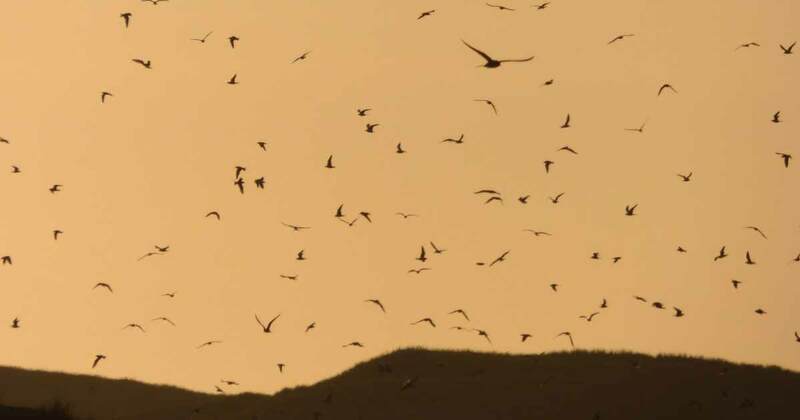 Terns flying over their nesting colony near the Sable Island Station. Tern footprints in the sand on south beach. Strawberry plants in flower. 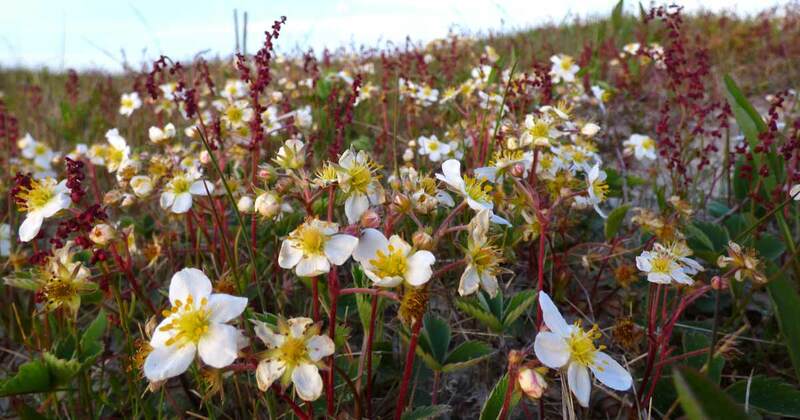 This species is abundant on Sable Island and is among the earliest of spring flowers. 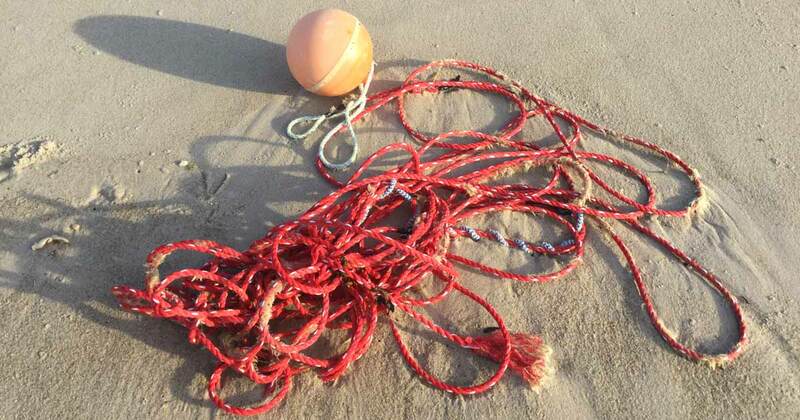 Rope and a float washed ashore. Weather summary for this date: rain 3.8 mm; fog; sunshine hours 0.5; temperature maximum 8.4°C and minimum 5.5°C; with a peak wind of 28 knots northerly (NNW 350°). 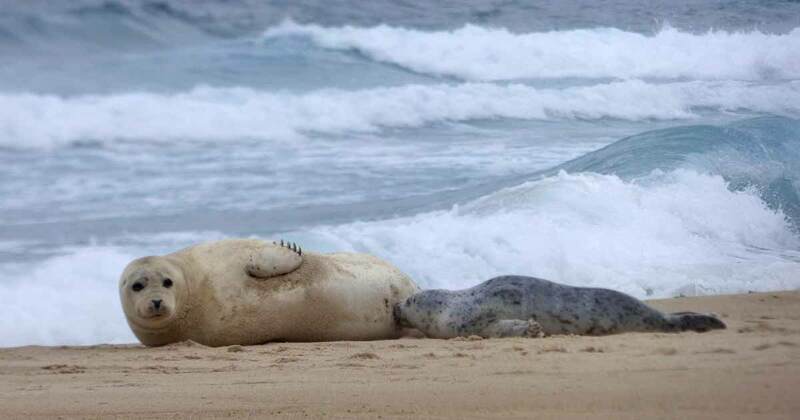 A Harbour Seal nursing her pup on the beach, just above the reach of the waves. An adult Harbour Seal—seems unbothered by the flies roaming about on its face. An old, rusted tow fish on the north beach. 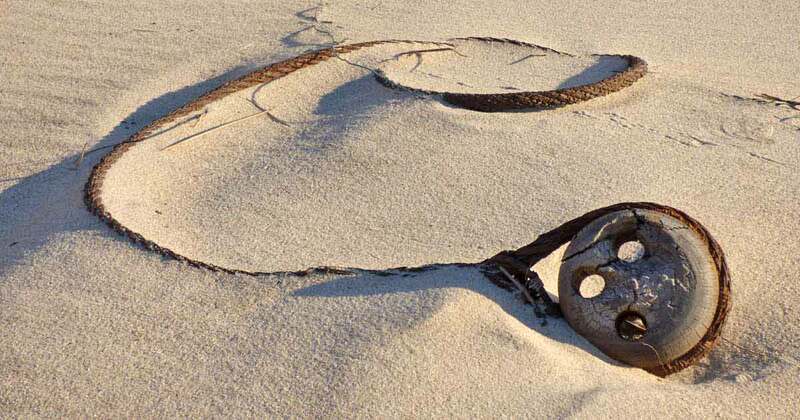 High wind and rain plastered sand on the rusted flank of the tow fish, creating a fleeting pattern that disappeared as the sand dried and grains fell to the ground. Weather summary for this date: rain 0.4 mm; sunshine hours 12.2; temperature maximum 11.3°C and minimum 5.7°C; with a peak wind of 13 knots northerly (N 010°). 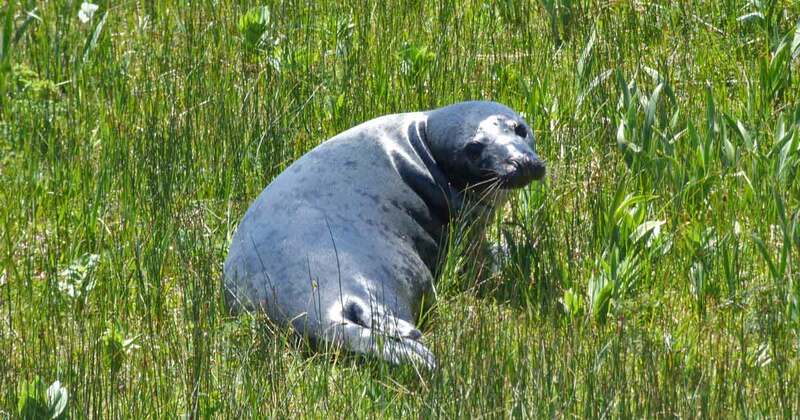 A young Grey Seal wandering through the vegetation covering a gentle slope just north of what’s left of the Lily Pond. Weather summary for this date: trace of rain; sunshine hours 8.8; temperature maximum 14.6°C and minimum 4.5°C; with a peak wind of 15 knots southeasterly (SE 130°). 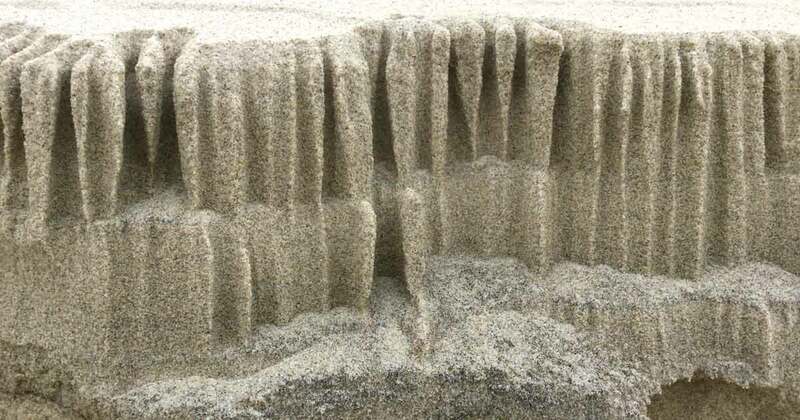 A sand pattern created as sand grains slip down the steep face of an unvegetated dune. 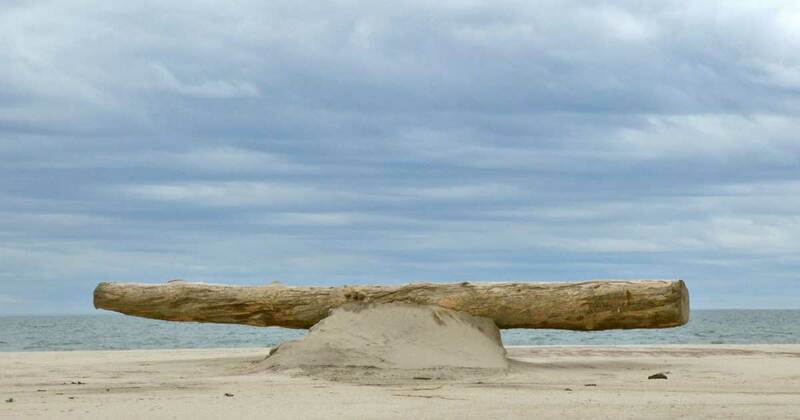 A huge log washed up on the beach. Then high winds scoured away the most of the sand beneath it, leaving the log presented on a small pedestal of sand, but not for long. Weather summary for this date: no rain; sunshine hours 13.4; temperature maximum 14.7°C and minimum 6.7°C; with a peak wind of 20 knots northerly (NNE 020°). Thirty-eight Cedar Waxwings perched on the guy lines of Nav Canada’s anemometer in MSC’s instrumentation field at the Sable Island Station. Weather summary for this date: rain 20.0 mm; fog; sunshine hours 0.6; temperature maximum 14.3°C and minimum 9.5°C; with a peak wind of 19 knots westerly (W 270°). Where the wind has scoured and undercut an eroding bank, a chunk of vegetation breaks away and slides down the side of a small dune. 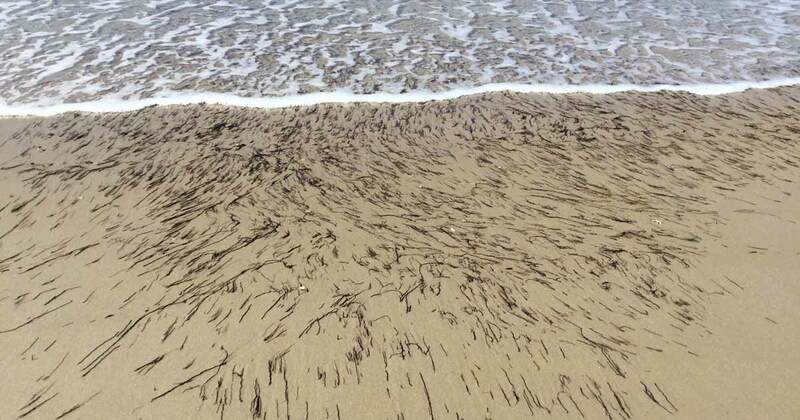 Fragments of ‘peat’ break away during periods of turbulent waves and washovers, and are scattered over the wide, flat area of south beach near West Light. 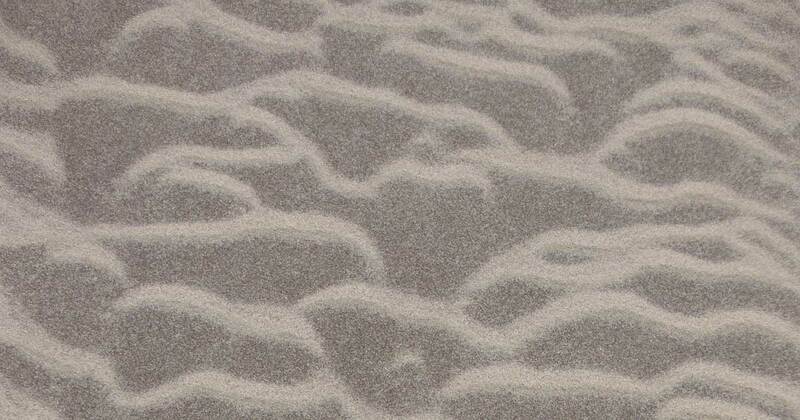 More ripple patterns caused by the wind moving and sorting sand grains. Weather summary for this date: rain 1.0 mm; sunshine hours 7.5; temperature maximum 12.0°C and minimum 6.8°C; with a peak wind of 20 knots northerly (NNE 20°). 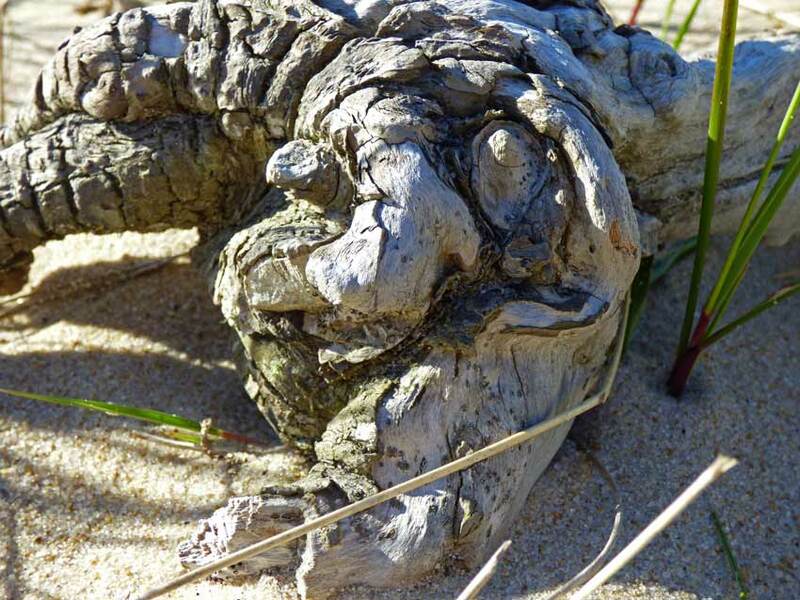 A chunk of driftwood with its inner face carved out by wind and water. 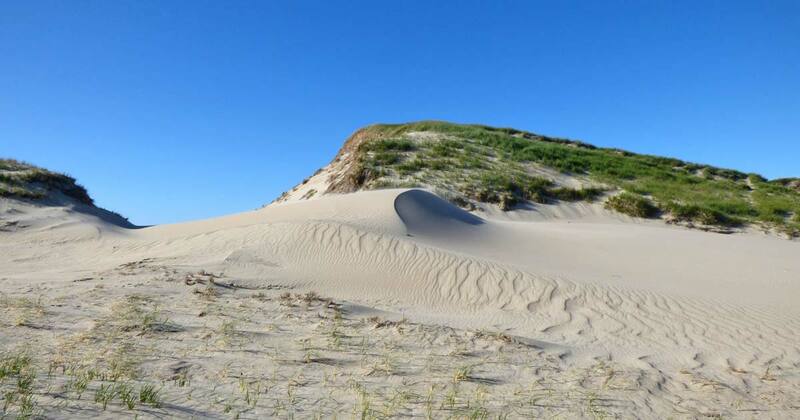 A new dune forms as wind blows sand through a cut from the north beach. 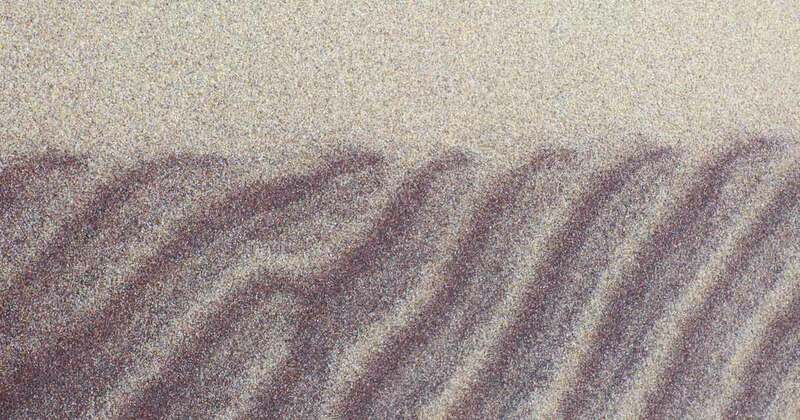 Sand grains fly over the leeward face of the developing dune (above). 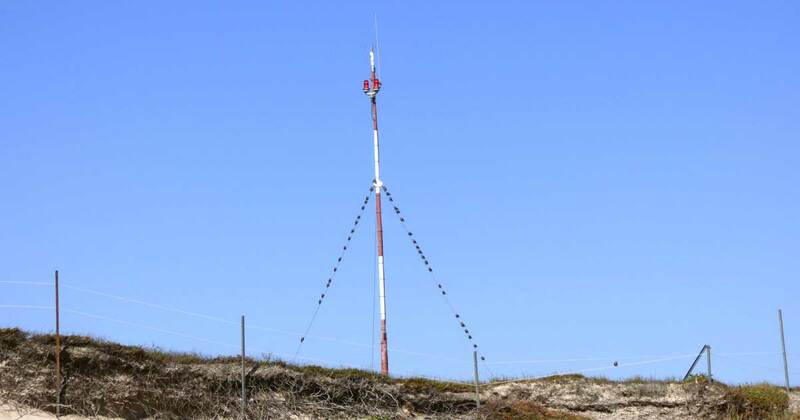 The wind is blowing north to south (or from left to right in this photo). 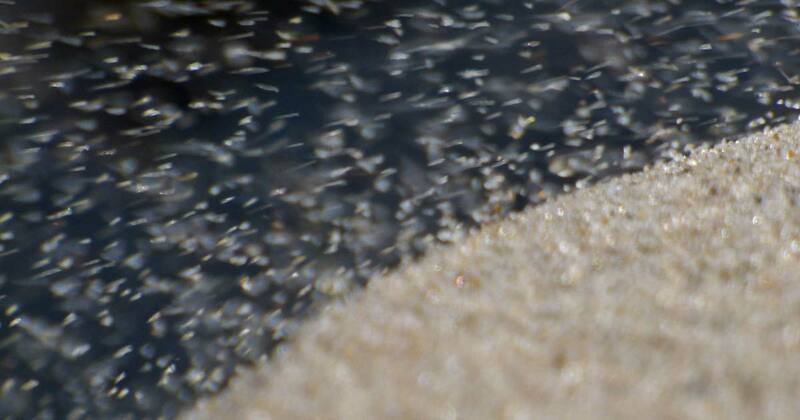 Wind-blown sand grains in the air over the edge of the dune. Leaves of Yarrow, an abundant plant on Sable Island, and a forage species for the horses. 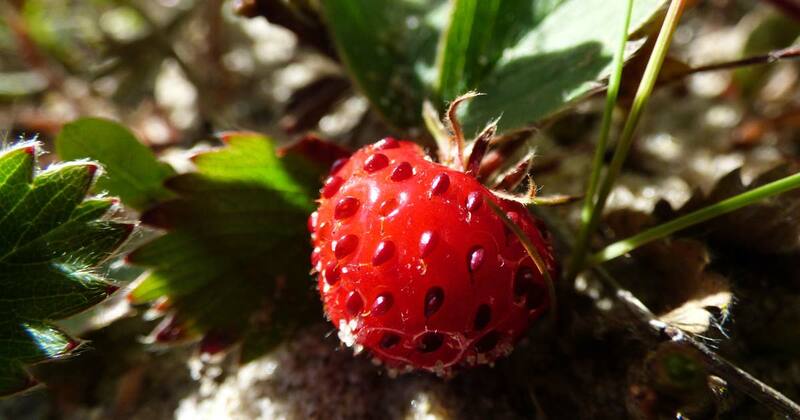 A berry of the Wild Strawberry. The berries are very large where plants grow near/in bird nesting colonies. Lots of guano to fertilize the plants. 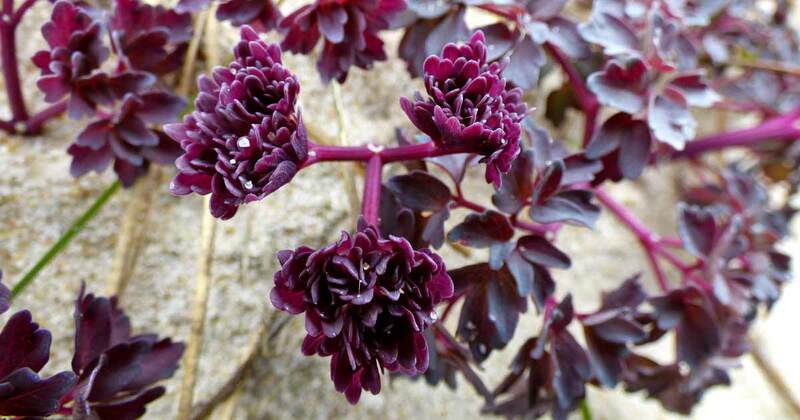 Starry False Soloman’s Seal in flower. 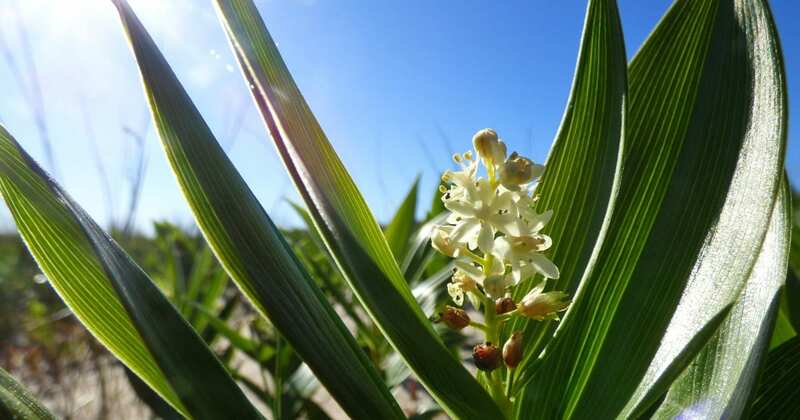 This species is also abundant and is found in many of the plant communities on the island. 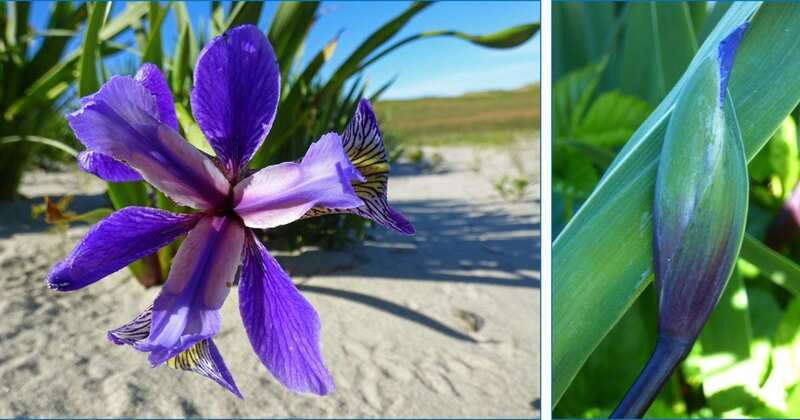 Blue Flag Iris—a flower (popular with the bees) and a flower bud. Grey Seals along the edge of the water, some lifting their hind ends up out of the wash of the waves (the commonly seen ‘banana’ posture). Some say the seals don’t like to get their feet wet. 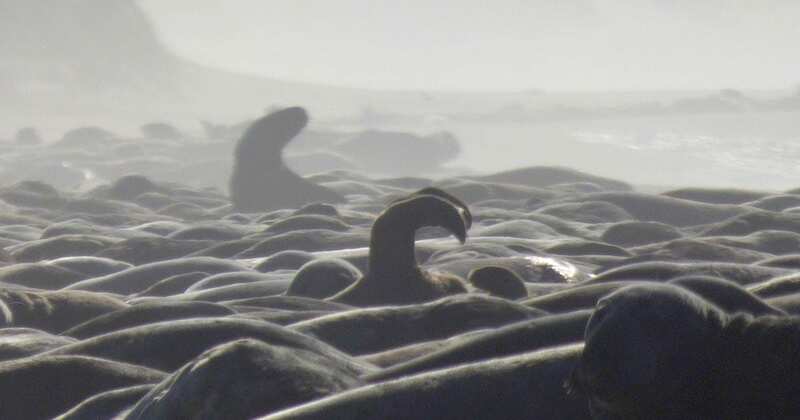 A mass of Grey Seals hauled out on the beach in a mist of salt spray. 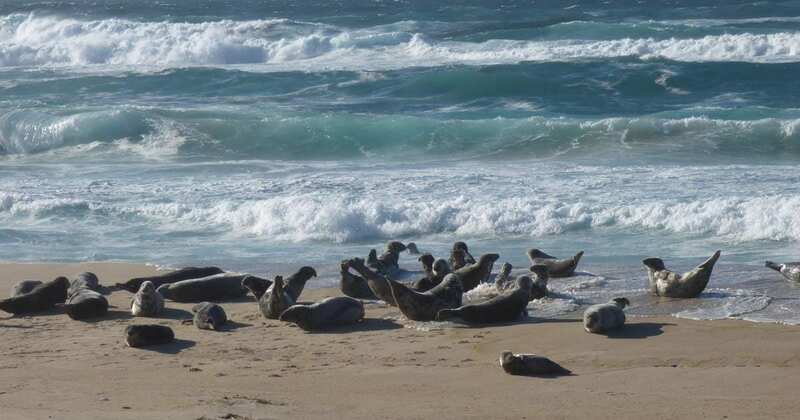 In the middle of the herd, one seal lifts a hind flipper— stretching or perhaps waving. And farther back, a Grey Seal lurches—head, neck and shoulders—above the forms of its heaving and snorting companions. 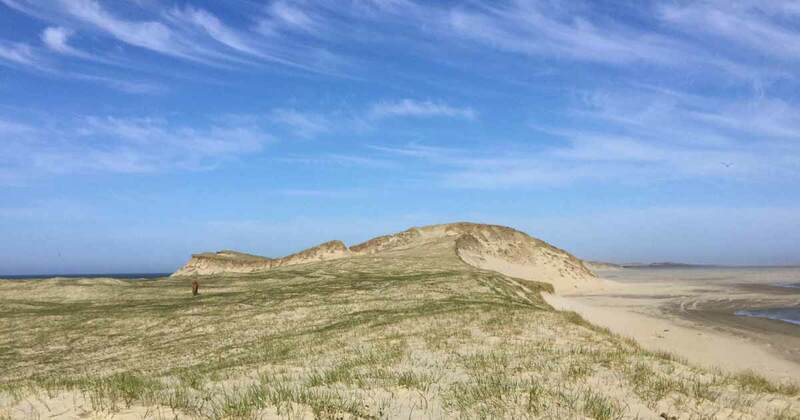 My tour ended on June 27th, and my departure from Sable Island was on schedule, not delayed by poor flying weather or unsuitable beach conditions. I will be at home in Pictou County until late July when I leave for a trip to Morocco and Portugal. The date for my return to the island is October 3rd. Also, see Gina’s PhotoBlogs for April-July, 2017 and October 2017 – January 2018, and her contributor’s profile.